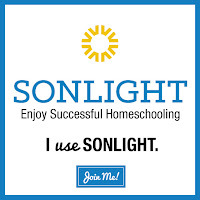 I wrote this post, Homeschooling Through the Seasons, for Sonlight. We often think of homeschooling in terms of years when choosing our curriculum, or in terms of days when implementing it, but we must also think of homeschooling in terms of seasons — seasons of the year and seasons of life because as each season changes, our homeschool changes. Nutrition, sleep, and my mental well-being (reducing stress) is at the top of my list each season while caring for my family, homeschooling, and supporting my husband, however each season is unique and the days change as the seasons change. As they change, we can accept it, embrace it, and make the most of it — if we are aware of it. And if you are aware of the season you are in, you will give yourself the grace to be there. Fall is usually a good busy. Considering all we did this past fall, including participating in fall soccer, planning and hosting a family field day for 100 kids, taking a 10 day trip to celebrate the Feast of Tabernacles, and taking an extra two-week vacation, I felt good about where we were at the end of November — starting Week 10 in HBL F. From the comfort of our couch, we traveled to China in Weeks 1 through 5 and started a study of current events while we learned about North Korea, South Korea and Japan in Weeks 6 through 9. We were a bit behind by my standards, but I wasn't worried. The sunny fall weather beckoned us, and we happily obliged, enjoying long afternoons at the park and spending time in nature doing nature study while we could. Sonlight is an enriched literature based curriculum, and it can seem like a lot of reading when you first start, but you quickly see the fruit of your hard work when it suddenly becomes easy and a little addicting to read so many books! So, heading into winter, we were ready to do just that. Winter is long and cold. This winter was longer, colder, and harder than usual. One of the things I love about homeschooling year round is that it takes a little pressure off the school year. Since we do sports and activities outside of the home and have shorter days in the winter, we have less time in the day to get things done, but I also have less energy from the lack of sunshine. Living in Wyoming, we have long, frigid winter months to hunker down, sip hot cocoa, hit the books hard, and catch up. We did and read through Russia, Southeast Asia, Vietnam, and India in Weeks 10 through 21, and then we moved on to the Middle East, Israel, and Saudi Arabia in Weeks 22 through 26. Finally, we were off to find adventure in Africa for weeks 27 through 32 as winter came to an end. To imagine our Adventures in Africa, just picture us with a wonderful stack of books, fluffy pillows, and cozy blankets! One of my favorites this season was A Long Walk to Water. This was my second time reading this book aloud, and knowing how it was going to end up had me in tears before I should have been. What an amazing story that makes me so grateful for the simple things in life we take for granted! When life seems hard, reading books like this really puts things into perspective and asks the question, "Do we really have it that bad?" The truth is, it could always be worse. We all really liked Cornelia and the Audacious Escapades of the Somerset Sisters. What a colorful, interesting, and touching book. This is a great book to inspire a love of stories and a love of words. It was a long, hard winter. But, instead of letting myself slip into a winter depression, we got productive, and reading so much helped me get through a hard season of life. Since my husband is doubling up to get his bachelors in one year, I thought it was a good idea to double up to make the most of our time while he's doing his school. It is a relief to not have the added stress of worrying about being behind in school, but I'm mostly happy because I did the best I could do to embrace this season. I can see how God used this season to grow, humble, and change me. It's been hard, but I am better for it. I love the hope that warmer days bring when the snow begins to melt and the sun climbs higher in the sky to warm us and color our world. 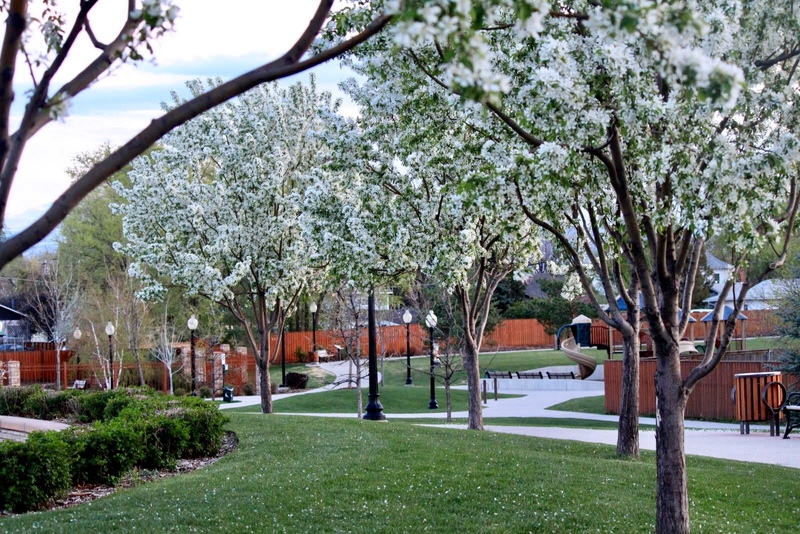 However, now that spring soccer season is here, things pick back up, life gets busy, and warm weather will bring more outside activity. During busy times, caring for myself is a priority so I can have the energy to care for my family. Sleep is a priority, and I am usually in bed by 10 because I wake up early. I also need to eat nutrient dense foods, stay away from sugar and processed foods, remember to take my supplements, and reduce stress. School in the spring is different almost every year. I used to always start new curriculum in the spring with the younger kids, so we could school through the summer and take a break in the fall when I started school with the older boys. This gave me time to get ahead on school with the three younger kids, while giving the three older boys my full attention until they were well established with their new curriculum. Now that I am down to homeschooling the three younger children, we have more flexibility. 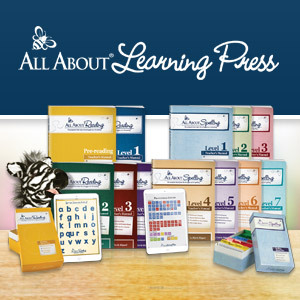 Spring is also a good season to make curriculum choices for the coming school year. I enjoy having all those decisions made before summer break, so I have the peace of mind that comes from having a decision-free summer. Even though we homeschool year round, I try to have our basics wrapped up by the end of May so we can have an easy, fun summer of learning. However, we still do a few basics. 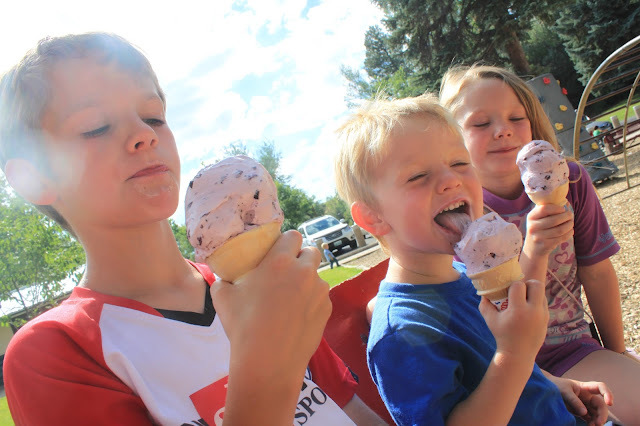 This summer we will be doing some math and a little writing, but to make it fun, I'll take the kids to get an ice cream cone on Friday for completing their lessons. 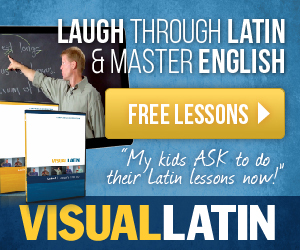 We do this every summer, and the kids love this incentive! While I love the sunshine and the boost of energy it gives me in the summer, too much sun will drain my energy, so on those hot days that we aren't playing in the water or eating frozen watermelon pops, we're inside cooling off, doing "school." Plus, some learning is just better suited to warmer weather. Summer is the perfect time for nature walks, studying insects, and growing things! Plus (another one), I'll go crazy if I don't do some form of learning. If we school for 1 hour a day, there will still be plenty of daylight hours for other work and play — plenty of time for playing in the water and dirt, jumping on the trampoline, taking walks to the park, making homemade lemonade, participating in summer camps, doing crafts, and more. However, this summer will be a season of change — my husband is planning to finish his degree, we are planning to renovate a house, and we are planning a move. Because I don't know when/if all these things will happen, I'm going to press on with what I have planned, but I will give myself the grace to take a summer break and stop all school if I need to. No matter what season I am in, I do what is most important each day — whether it is caring for myself and the family, school work, house work, appointments, etc. I either get the kids going on their independent work while I do my work or vice versa. I prefer to have school done by noon if I am feeling energetic, but we often wait until the afternoon to even start school. Regardless of when we do our school, we use Sonlight, so our IG keeps us on a steady routine because we just do the next thing! I am a mother, teacher, and wife, but I have plenty of hobbies and interests to keep me productive and happy most of the time. One of the surprise blessings of being content with our curriculum this year is all the extra downtime I have — time I've needed to just rest and focus on my health, my home, and my homeschool. I'm thankful for that time. So, when thinking about homeschooling seasonally, consider that seasons come and go. We naturally find what works best and then fall into that pattern for a season. Life always has a way of shaking this routine up, but that's expected. A new routine is working itself out, and everything works out in the end. One morning, I got up to drink my morning tea and while Eliana, 11, made steel-cut oatmeal for breakfast, I started school with Boaz, 7, my youngest, who is doing HBL A. We worked on his school for 50 minutes. We did writing, spelling, reading, history, and literature. Dad does Bible with Bo before bed or on the weekends. Math is on the computer and done independently. We did not do science this day, and I regret that because I let it slip one too many times and we fell behind. When I start to feel behind in a subject, I don't get down on myself. I just know it's time to give it more attention! After school with Bo, I took a shower and got ready for the day while he played and the older kids did their independent work. Our history and read aloud that day was at lunch with dad. We don't have dad's help during the week now that his busy season at work has started, so we eat lunch as a family and I do our history, read aloud, and science after lunch now. Since we started stacking up our homeschool day, we have a very steady routine going and our days flow more efficiently. I love working through our Sonlight stack! How Long Does Homeschooling Take? As far as time goes, school doesn't really take us that long if we get to it and stick to it — 3 or 4 hours at the most, but sometimes we play, knit, sew, craft, cook, or bake while doing school, or we play all morning and wait until the afternoon to even start school. We do this on days we can — when we don't have to leave the house. But I find as my kids get older, they want to get school done in case a friend drops by, so they like to finish by 3 or 4. But even when we don't start school until 1:00, we still finish by 4:00. Of course, the kids like to do most of their reading in bed at night! Once a week we have a writing lesson (usually on Monday), and the kids work on their assignment the rest of the week. Twice a week we do science (usually on Tuesday and Thursday), but this changes too. Lately, we've done science everyday to catch up. No matter what we get done, I put all school away by 4 o'clock. Except for reading at bedtime, we clean up the house, cook dinner, do a craft or hobby, watch a movie, or take part in an extra curricular activity such as guitar lessons, art lessons, chess club, volleyball, dodgeball, swimming lessons, or soccer at the Y (kid's activities this year). We school 4 or 5 days a week depending on the season, but we usually start on Sunday evening to get ahead start on our week. We school Monday through Friday, but Friday is a catch up day since it's also my Sabbath prep day. During the school week, we keep up the house the best we can. We like to do a ten-minute tidy here and there and before my husband comes home for dinner. I like cleaning a little here and there, schooling a little here and there, and working on projects a little here and there. When we need more than ten minutes to tidy the house, I play a game with my kids called "What's Next?" To play, they come to me for a chore, go do the chore real quick, and come back and say, "What's next?" I give them another chore, and play continues. This works because if they do the chores quickly, I quickly run out of things to have them do! When I can't think of anything, they win and don't have to clean anymore. Sometimes, we play "Top of the Hour" where we set a timer and clean for 10 minutes every hour on the hour. As often as we can, we do tedious jobs while doing something else, such as when I have the kids sort their laundry while I read aloud or while watching a TV show. We do most of our school on my bed, and I sleep there, so clearing my bed off each day is a priority. And when my bed is not covered in books, it's usually covered in freshly laundered clothes because the laundry room connects to the master bedroom. I have to give myself plenty of grace around the house. Right now, I have boxes of books stacked up in the hallway, my room, and the laundry room. I'm going through curriculum and books to see what I can get rid of, but it's been a slow process. The boxes won't sit here forever, so I don't want to wish this season away. I want to embrace it and give myself the grace to enjoy it, and not merely endure it. I'll get to the boxes soon enough. Whatever season of life you are in right now, I hope you will embrace it and give yourself the grace to be there. If you struggle to give yourself grace, pray. The best way to understand and give grace is to go to the One who gives it. May the grace of our Lord Jesus Christ be with you all in your homeschool and throughout all the seasons of your life! 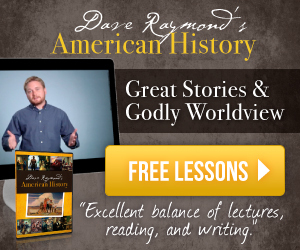 After years of heaping curriculum on top of curriculum, it is a relief to say that I use Sonlight for our History, Bible, and Literature curriculum. There are good reasons NOT to supplement your Sonlight curriculum, but my favorite is enjoying homeschooling without the added pressure. Great post! I find schooling through each season is so different in our home and further yet, each year is so different. I love that you share to give ourselves grace. I know that I am hard on myself and need to embrace this.